The second U.S. Ocean Acidification Principal Investigators' Meeting was held in Washington, DC at Gallaudet University's Kellogg Conference Center on September 18-20 2013. This three-day meeting brought together the U.S. OA research community to assess the state of OA science nationally and to identify knowledge gaps and opportunities for collaborations that will accelerate OA research in the future. This meeting offered an opportunity for the scientific community to help shape U.S. national OA research efforts as they developed. In addition to poster sessions to showcase scientific results, meeting activities included numerous panel, plenary, and breakout discussions designed to explore how current U.S. OA research and organizational support fit together, and to identify where greater synergies can be encouraged. Meeting attendees took an active role in considering the current state of the science and planning future opportunities for the research community as a whole. See the agenda below for more detail. 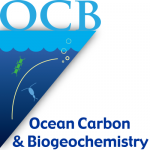 The OCB Ocean Acidification Subcommittee hosted this second OAPI meeting to bring the OA community together and assess the direction of the entire U.S. OA research community, now that many research projects have been under way for some time. As with the first OAPI meeting in 2011, this meeting was intended to maximize all outcomes of the research by placing ongoing research efforts into a greater context that looks forward towards scientific and organizational challenges emerging from the work. This fast-paced discussion among leading journalists and scientists on the latest findings, thorniest challenges, and social relevance of ocean acidification science will highlight hot topics and jump start conversations about communicating your science at the OAPI meeting and beyond. Join us for this fun event and the chance to meet and mingle with the journalists at the no-host reception to follow. 9:00 Session 1: Scientific Themes in OA research (Chair: Yates). Brief overview talks of the state of the science. In this 1.5-hour workshop during the OAPI meeting, you will learn how to talk about your science - and why it matters - in clear, lively terms. We’ll help you replace unnecessary details with an accurate message that will resonate with your audience and leave them wanting more. Your takeaway will be the beginnings of a 30-second elevator speech that you can use anytime and anywhere. 13:30 Session 3: A Growing National OA Research Community (Chair: Jeremy Mathis). Agencies discussed their activities regarding OA, coordination, and future plans in short talks and a panel. Compile messages from morning discussion, plus breakout discussion findings. Given the advances made in the past two years in setting up a global ocean acidification observing network (GOA‐ON) through the 2012 and 2013 workshops, discussants will extend the global conversation to consider: 1) the chemical and physical long‐term monitoring framework needed to more robustly attribute ecological and ecosystem changes to ocean acidification; 2) sufficient spatial and temporal sampling approaches for biological processes to effectively inform society about the socio‐ecological impacts of ocean acidification from community to ecosystem scales; and 3) necessary chemical and ecological components for two or three example long‐term monitoring programs in different ecosystem types. 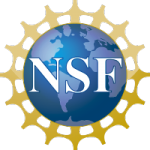 Discussion will explore what knowledge is attainable in the short term (1‐5 years) from existing programs, resources and methods, enhanced by new collaborations, and what knowledge is needed from the long‐term observations to best inform policy decisions to optimize societal benefits. Discussants will begin by reviewing the results of a brief community survey focusing on usage trends and challenges associated with sensors and carbonate chemistry equipment. 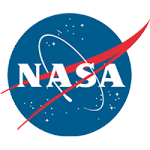 Then, the discussion will explore 1) needs associated with development of new techniques, sensors, and equipment; 2) possibilities of developing or enhancing sensor networks, particularly with an eye toward coordination and intercomparison; and 3) additional tools needed, such as analytical facilities, shared instrument repositories, or computing tools. In each case, identified needs will be matched with estimates of the type and magnitude of obstacles (e.g., time, cost, manpower, etc.) facing them. As ocean acidification science has advanced, so too has the complexity of our understanding. Heterogeneity in both the dynamics of ocean acidification and organism responses has revealed a more nuanced and intricate narrative than previously imagined. Discussants in this session will focus on new and developing methods of ocean acidification experimental science that can 1) better emulate natural variability in carbonate dynamics; 2) incorporate multi‐stressor impacts; 3) elicit improved insight into potential adaptive capacities; and 4) better utilize data from biogoechemical observing assets in experimental design. Ocean acidification science includes many widely acknowledged uncertainties, yet incorporating uncertainty fully into the science is still at the early stages. Discussants in this session will focus on 1) how we can make measurements to allow us to estimate uncertainty adequately; 2) how we can best incorporate uncertainty into models of all types (e.g. numerical to mental); and 3) how we can best talk about uncertainty when we convey our results. This wide‐ranging interdisciplinary session will touch on topics ranging from statistics and modelbuilding to communication. Discussions about ocean acidification often point out that it is just one of many natural and anthropogenic processes affecting marine life, especially in the coastal zone. For instance, temperature increase, hypoxia, land use changes, ocean circulation, and disease also add pressure to marine ecosystems. These processes may combine synergistically or antagonistically, yet their full effects are not yet known. This discussion will explore the 1) multiple causes of acidification; 2) the effects of multiple stressors when one is ocean acidification; and 3) temporal and spatial scale issues and variations among systems related to multiple stressor effects. Understanding ocean acidification increasingly requires interdisciplinary work among chemists, biologists, physicists, and geologists. Calls for multidisciplinary studies are growing, urging consideration of marine changes in the context of global processes, human development, and more. To design and implement large multidisciplinary efforts, a high degree of coordination must be achieved. This session will consider 1) what the key elements of successful multidisciplinary research efforts are, especially those that could serve as analogs to future efforts to study ocean acidification; 2) how to implement such programs together organizationally; and 3) how to shape multidisciplinary projects once underway. Discussants will consider other successes and failures, and they will especially focus on temporal and spatial scale coordination. Ocean acidification is not the first large‐scale environmental challenge that has been studied intensively, but as oceanography is a relatively young field, most prior challenges have been in terrestrial and atmospheric environments. Discussants in this session will consider outcomes of other environmental impacts studies, especially those in other environments which may be unfamiliar to the ocean science community, to consider 1) how they can inform ocean acidification studies; 2) whether there are generalizable theories (e.g. spatial ecological principles, etc.) that can be borrowed from other disciplines and applied to ocean acidification, and 3) whether analytical or theoretical frameworks exist to consider this information. Discussants in this session will consider the intersection between the ocean acidification research community and decisionmakers/science programs. The conversation will consider 1) what the research community is expected to do and by whom; 2) what information different groups want from researchers; and 3) what activities can be undertaken to help science respond to these needs, including new science focuses, capacity building, and stronger coordination. Discussants will ideally include representatives from the research community as well as the decisionmaker and science‐agency communities, and will include a mix of early and later career individuals. Discussants in this session will be encouraged to think broadly about possible developments that could suddenly accelerate or end ocean acidification research. The discussion will consider: 1) scientific issues such as tipping points, geosolutions, other major stressors (e.g., hypoxia, overfishing); 2) “mainstreaming” of ocean acidification research into overall marine science, as the community becomes larger and targeted research support declines; and 3) communication about the research in the face of increasing politicization of ocean acidification. Consider the state of ocean acidification knowledge in an interdisciplinary context: What do we don’t we know? Each breakout session’s discussion laid the groundwork for a synthesis paper in an Oceanography Magazine Special Issue: Emerging Themes in Ocean Acidification Science in June 2015.